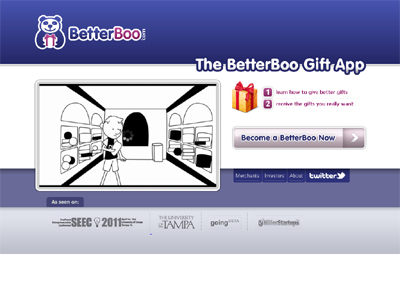 BetterBoo.com allows users to build personal gift registries(called betterboo boxes) Built on the social platform facebook, users can then share their box with friends so users can GIVE and GET gifts that they trule want! There are other wishlist/registry engines, but they aren’t as social as us! Being built as a facebook application, we make it effortless to share your box, giving you the best possible change to recieve the gifts that one truly wants.